Nikon has announced the successor to Nikon S70 – Nikon COOLPIX S80, which features a large 3.5-inch OLED touch screen (819,000-dot) with an improved, simple-to-use interface, 14.1-megapixel CCD sensor, wide-angle NIKKOR ED glass lens with 5x optical zoom, 720p HD video recording and an array of in-camera image editing functions including Paint function, Color Options, Soft Focus, Selective Color, Cross Screen, Miniature Effect and Fish‐eye Effect. 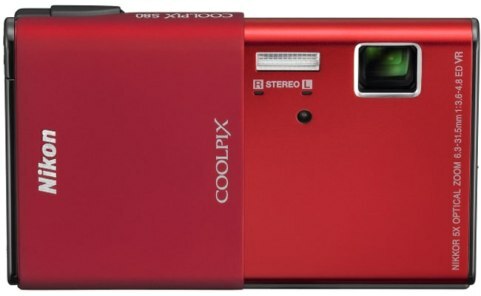 The new elegant, ultra-compact COOLPIX S80 will be offered in 6 color variations – red, black, blue, pink, gold and silver/brown. The new stylish, ultra-slim Nikon COOLPIX S80 digital camera which measures 2.5 x 3.9 x 0.7-inches and weights just 133 grams is expected to be available this fall for around $330.